Our big, fully-featured studio episodes usually tackle big topics or important interviews. 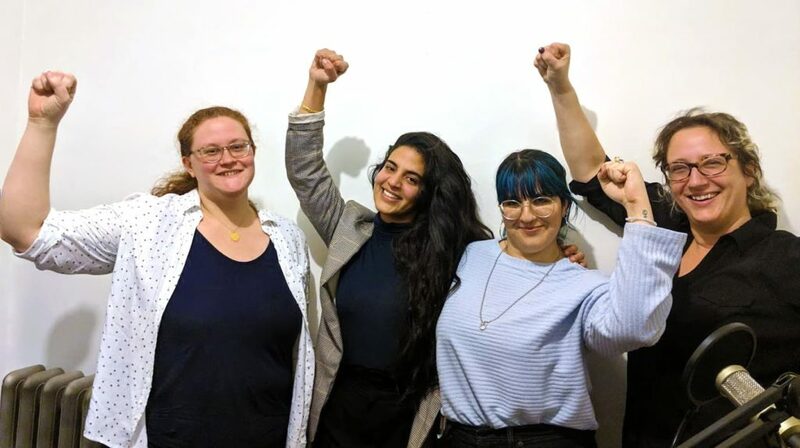 We’re talking with the women who headed field operations in multiple 2018 Bay Ridge political campaigns. We’ll discuss the importance of field organizing and how to get involved. How can we become better organizers and what is life like in electoral politics? Today we sit down with the women who made 2018’s South Brooklyn electoral blue wave a reality. Our panel discusses the importance of a ground game in politics, tips for canvassers, and what it’s like to manage teams of volunteers and staff during an election year. Our panel consists of co-host Rachel Brody who was the Brooklyn Field Director for the Max Rose campaign; Genna Goldsobel who acted as the Field Director for volunteers for Ross Barkan for State Senate; Mary Hetteix, who worked for Immigrant Action; and Sihem Mel who worked as a Field Organizer for Arab and Muslim outreach with the Andrew Gounardes campaign. It’s more than just stop signs and speed bumps. In our last episode, we promised to bring you a bigger, badder deep-dive into street safety! One of our most requested topics, Dan and Brian will take you on a whirlwind tour of as many street design concepts as they can fit into an hour and change, as well as a brief history on why Bay Ridge has lagged behind in innovation. Why do some street corners get extra-big, but not others? How can we make the B63 go faster? What can we do to help the visually impaired? Can we keep kids safe crossing even our busiest streets? How many lanes does a road even need, and how wide should they be? We’ll answer all these questions and more… and by the end, you’ll be able to suggest and envision your own street safety improvements, just in time for the big Street Safety summit on Wednesday, March 27th. Warning: On today’s show, we curse a bit and briefly discuss violent traffic crashes and fatalities. It’s a serious topic; listener discretion is advised. On Tuesday, February 19th 2019, city officials gathered to renew their commitment to Vision Zero. 8th Avenue was named as a new priority corridor, joining 4th Avenue and 86th Street. 65th Street has been removed. We will explore common changes that are made to priority corridors that keep pedestrians safe. On Tuesday, February 19th, a group of our local political representatives gathered together to reaffirm their commitment to Vision Zero. The initiative, overseen by the Department of Transportation and the NYPD, focuses on reducing traffic-related fatalities to zero. What role can Bay Ridge play in helping to improve traffic safety city-wide, and what further changes can we expect to see on our neighborhoods streets? Today on the show we’re joined by our transit correspondent Brian Hedden, who’ll go over the political landscape of traffic safety, as well as some of the most common street calming measures the DOT will be using to address our unsafe streets. We’ll also look at the stats behind the most recent priority corridor data presented in the Vision Zero report. Episode 19: Happy New Year, Bay Ridge! Author Dan HetteixPosted on January 1, 2019 January 9, 2019 Format AudioLeave a comment on Episode 19: Happy New Year, Bay Ridge! Check out the results of our favorite episode of 2018 poll! Our favorite moments of 2018 and what 2019 might have in store. 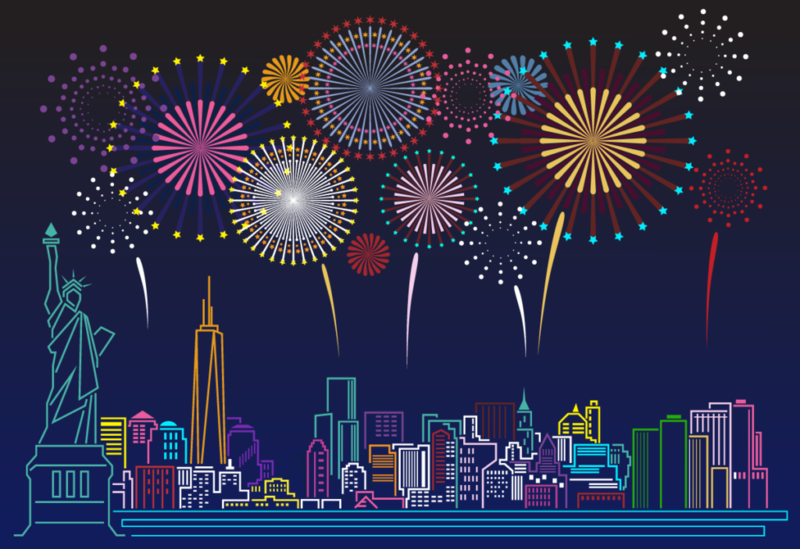 Welcome to 2019 and happy New Year, Bay Ridge! 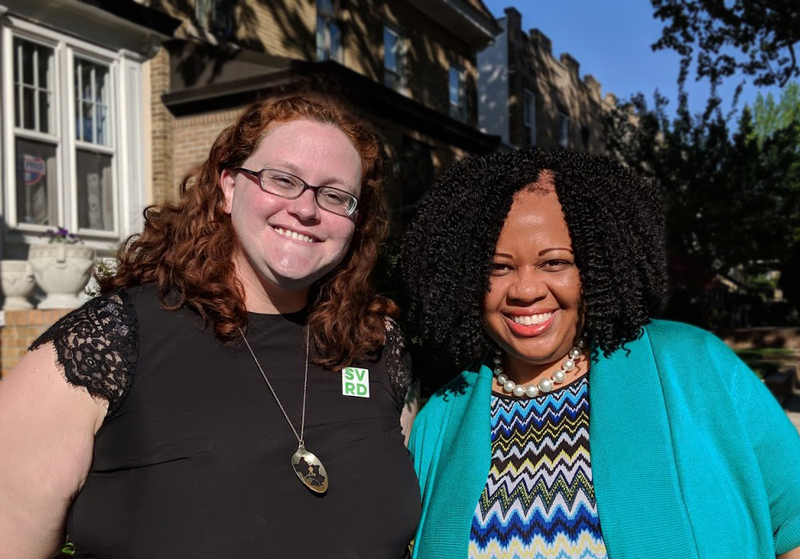 While we’re busy updating our elected representatives page and nursing our hangovers, we threw together a short episode for you. Chill out with us in our newly renovated studio as we reflect back on 2018, and look forward to 2019! Plus, Rachel will reveal the results of our latest poll! What were your favorite episodes? What were ours? Find out, and get a sneak peek into the episodes we have planned for 2019! Weekday R Train ridership city-wide declined 1%, but Bay Ridge was twice as bad, at 2%. Weekend R Train ridership dropped over 20%. Last year, R Train service was cancelled on weekends about 20% of the time. Local bus routes that parallel the R Train increased, but not enough to offset the R train declines. Uber and Lyft picked up slack, but some neighbors may simply be staying home. 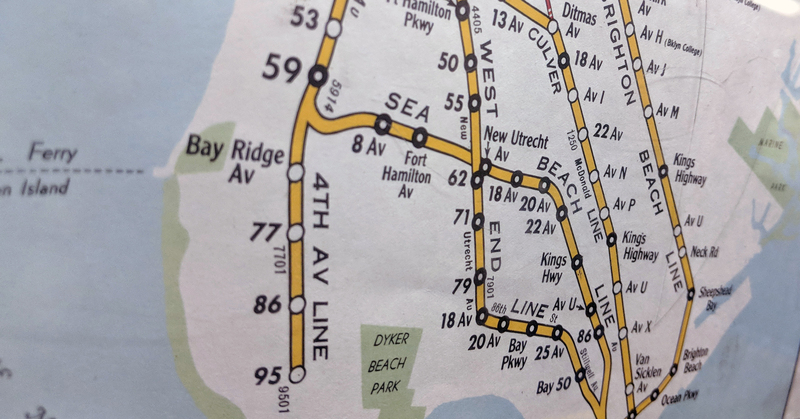 Good news: The B70 had major ridership increases on weekdays, suggesting more job opportunities along the Sunset Park waterfront for people living in Bay Ridge. Bay Ridge is luckier than most outer borough neighborhoods. Residents have multiple transit options, from trains to bikes to buses to ferries. However, last year’s transit situation was so bad that it was known city-wide as the “Summer of Hell”. Bay Ridge Avenue was closed for six months as part of a new “Enhanced Station Initiative”. This upgrade was spearheaded by our local State Senator Marty Golden, who sits on the MTA Capital Review Board. However, as cosmetic upgrades were being installed, service worsened across the board with little relief. Today we dig into the numbers and analyze 2017’s transit numbers, and what they mean for Bay Ridge. We were happy to sit down with our transportation correspondent, Brian Hedden in this episode. We focus on the subways and buses, but also cover all aspects of Bay Ridge transit, including tolls, biking, and ferries. In today’s episode, Dan and Mary discuss Bay Ridge’s first Participatory Budgeting cycle. During last year’s city council race, every single candidate vowed to bring the experimental budgeting process into our district. This year, it’s finally happening! Our district will be getting a million dollars that will be spent entirely through grassroots democratic outreach, organized by and for local residents. Bay Ridge, Dyker Heights, Bath Beach, and parts of Bensonhurst will get a million dollars spend on ideas it’s own residents come up with. The money can be used for construction and built things only (capital projects), but beyond that, it’s a very flexible system. Our co-host Dan is actually on the fifteen-person committee of local residents that will be helping to nurture and shepherd these ideas to buildable, votable ballot items. 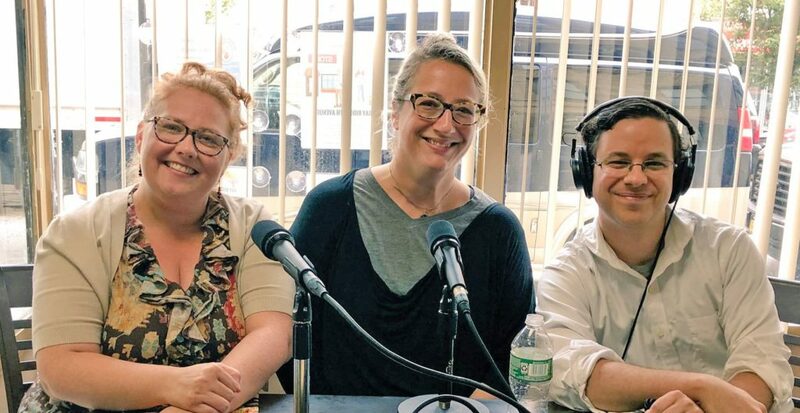 Listen in as we discuss what Participatory Budgeting means for Bay Ridge and how to get involved. Today on the podcast, we’re doing something a bit different. We are welcoming our newest neighbors! In what we hope to be a yearly series, we are providing an overview of the neighborhood entirely geared for the newest Bay Ridgeites. If you spent this summer unpacking and exploring your new neighborhood, our contributors Mary and Erik, both new residents themselves, will fill you in. We’ll give you our personal food favorites and good drinking spots to meet up with other local progressives. We’ll let you know our favorite little Bay Ridge moments and things to do. Plus, we’ll fill you in on local politics and help hook you up with activist groups that happen to be around! Welcome, Bay Ridge class of 2018! Don’t be a stranger.